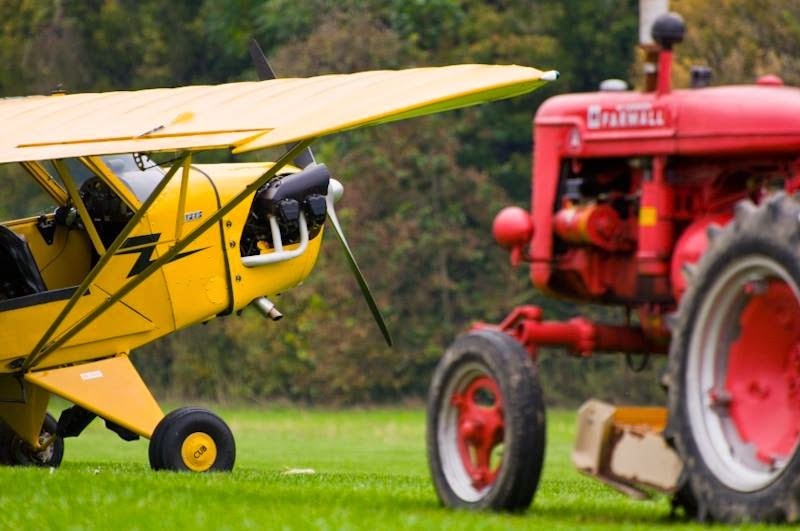 The Wood, Fabric & Tailwheels Fly-In is back. Many of you have been asking about it for months and up till now all we could say is we’d get back to you. Well, this is us getting back to you. 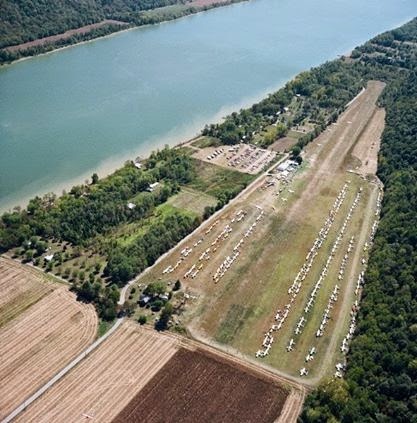 The Lee Bottom Fly-In is a go for this year and the dates are September 19-21; that’s a Friday through Sunday. Now, before some of you start sending angry emails because of the date and the rest of you begin asking questions, let me try to address them first. First, it appears these dates will create a conflict with the Rough River Fly-In. For all of you who do volunteer or may wish to volunteer at that event, I apologize. It was not our intention to step on toes or put volunteers in a position to choose one or the other. Work whichever one you please as it will be no offense to us. I was positive I had checked to ensure this would not happen but apparently I screwed up, asked the wrong person, or something changed. I even posted a question online to see if anyone could come up with a conflict for that date and as far as all the locals knew, there wasn’t one. However it happened, the reason for the timing of our event was modified as a last ditch effort to work with a certain segment of our county who have been known to create obstacles for anyone perceived as an intrusion on their little pond. Therefore, the change is an attempt to un-knot some local underwear. Although we have a group of locals that show us great support, having another group that doesn’t does not help. But whatever the reason, when it comes to the folks at Rough River, we regret this was the only workable weekend for us and if it is my fault I'm sorry it landed on a date that would conflict with you this year. As for questions about the event, since we are off to a late start we will have to work extra hard from here on out to get ready. If you are interested in volunteering please emailing us by clicking here. Next, there are a few things that are critical for you to know. As always, food has once again been the most difficult thing to find. Fortunately though, we believe we have found a family business that will do a great job. There’s just one thing. When it gets closer, we really need all of you who plan to attend to RSVP. Working with an online RSVP service gives our food vendor a ballpark attendance figure from which to work around. Because of our remote location, ordering the right amount of food is critical. Being able to purchase enough inventory without having to order a large percentage for reserves that could end up going to waste is the key to success for any vendor. Therefore, If you do just one thing to help us with the event please do this. In the upcoming months we’ll be posting a notice for the online RSVP service and suggestions on how and when to use it. Again this is very important to helping the event go smoothly. Just like previous fly-ins, the field will be open for camping on Friday which allows you to miss the busy, hectic arrivals the following day. Saturday is of course the primary day of the event with Sunday serving as the backup/rain date for Saturday. Come one day or come all three. All we ask is that you bring your friends. It is a rebuild year after all and we could really use a good showing to boost moral. The fly-In arrival and departure procedures for aircraft will be the same as in years before but look for them to be slightly updated with additional information on our website soon. When it comes to drive-in attendees we will once again be parking across the road. The one big change to this is that we will not have auto camping and RV’s. Simply put, the area we’ve used before just wasn’t optimum, it took heavily from auto parking, it always caused everyone headaches, and trying to make it work was often was the single biggest pain in the arse about hosting the event. So, we are currently looking for a better RV and car camping location but it doesn’t look like we will have spots available this year. If that changes, we’ll let you know. Ultimately, our goal this year is to keep most everything we’ve offered before and yet do it in a simpler manner. And although I’m not sure that’s really possible, as Ginger had it down to a science, we will be trying. One of the biggest hurdles to that challenge is registration. Although it is probably something most people do not think much about, having a system for registering attendees is critical to the operation of the airport. It helps us to stay in touch with those who use the airport, notify people of upcoming events, and determine who gets the Lee Bottom Limited Edition Calendars. From here on out, it will also determine who is included in discussions about the airport’s future. But registration is easy right? The registration process is not easy. If you have people write their own information down on paper as they come through the gate, 90% or more would be illegible. If you print out a list of information from years before you have to make changes on paper, mark them as attending, then go back and re-enter all that information into a computer at a later date that happens to coincide with weeks of aerating, over-seeding, and winter prep. Quite frankly, it's always a major headache. I suppose the easiest way would be to have three people at the gate with computers recording the information in real time. But now you are talking about finding people who can do the job swiftly, weeks worth of prep work to make sure they have the right spreadsheet, and making sure they know how to make the right entries. And then there’s the fact you need those positions filled for one full day and one half day. Now you’re talking quite a few more people and whose computers do you use? As for things that will be different, most things at this year’s event will be located at the northeast corner of the airport. This accomplishes many things. It will place the food, big top tent, Lee Bottom store, and majority of port-o-lets in a more centrally located position (between the east and west sides of the runway). This will also move the largest cluster of people from a location on the field that was most likely to be visited by an out of control aircraft to a place where events beyond belief would required to for this to happen. Moving these items also allows us to move the crowd line further back from the runway. IT also gives us a centrally located viewing area with a higher level of safety without negatively affecting the fly-in experience. There you have it. 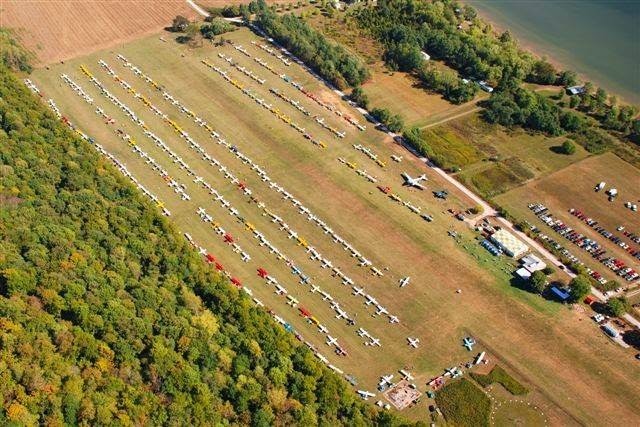 The fly-in is back on and we can’t tell you how much we hope to see all of you here this fall. It’s been a rough few years and we would really love to have a great showing and see all our friends out enjoying their planes. If you have questions or suggestions, please email them us. And, if you would, please help us pass word and by sending this on to your friends and neighbors. See you here in September. What are the hours for these dates? Congratulations on just being back! The same also in missing the 99's section meeting the next weekend south of Louisville. We will both be there. This is great news and I hope to be there Friday. I still owe you some gratitude for lending $120.00 to a complete stranger that showed up at your doorstep penniless / paperless, having forgotten all at the hangar.